The adventures of a boy and his dinosaur! At the dawn of human evolution, during a time when primitive man co-existed with the dinosaurs that dominated the Earth, a unique friendship is born - a friendship that may be the only thing that can save mankind! 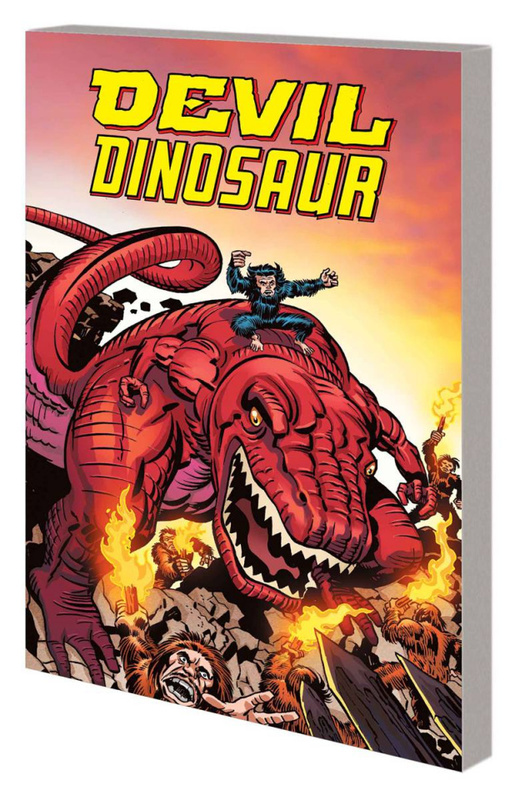 Meet Moon Boy and his Tyrannosaurus pal - the red-skinned Devil Dinosaur - as they face off against giant spiders, enormous ants, and rampaging dinosaurs of all shapes and sizes! And don't forget the Small Folk, led by the warlord Seven Scars, who rejected Moon Boy for befriending the fearsome Devil - and who aim to dominate the forest by force! Throw in aliens from outer space, and you've got a timeless romp through the ages - delivered courtesy of the imagination of Jack "King" Kirby! Collecting DEVIL DINOSAUR #1-9.